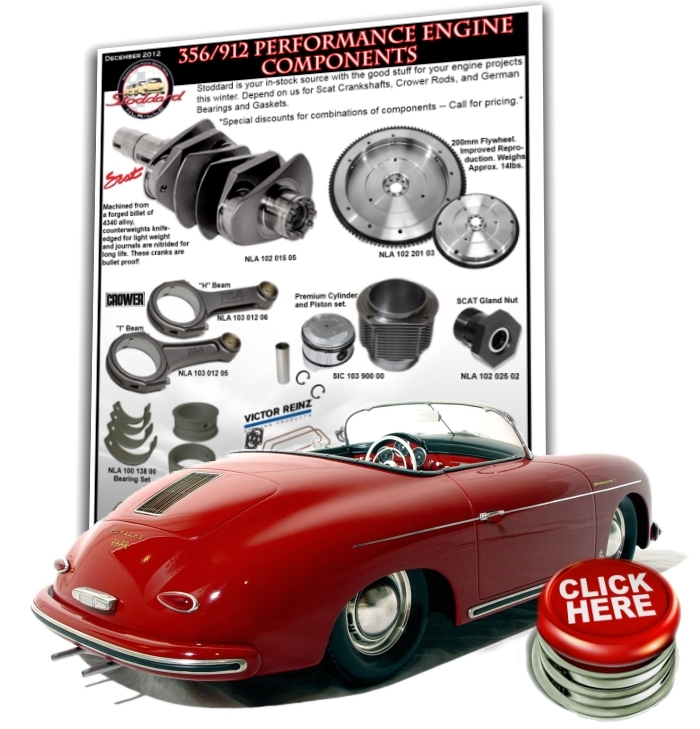 The Ultimate Source for Porsche 356 Restoration Parts. Here, you will find one of the most extensive Porsche 356 parts inventory in the world. In addition to our own manufacturing, we supply Porsche parts from many sources including OEM suppliers. Your Porsche will receive the best quality parts, tools and supplies at reasonable prices with unparalleled customer service and support by the most knowledgeable sales staff in the industry. All the Details, The Best Quality Porsche Parts, The Most Experience. With Porsche 356 restoration it’s often the little details that make the difference. Our online Porsche parts store has many exclusive products to help you achieve a truly authentic restoration. We’ve personally tested and selected the Porsche parts we sell. We’ll stand behind all our parts and guarantee 100% satisfaction. If you have a question about any component for a Porsche 356, call us; we’ll always do our best to provide any Porsche part. Don‘t hesitate to call us today!